Ropheka Foundation is totally dependent on your gifts. ACCOUNT NUMBER: NL31 DEUT 0486 3803 35. Address: Deutsche Bank AG Amsterdam, De Entree 99, 1101HE Amsterdam. For relief work: fund number 10702 with project name: Ropheka relief. Gifts donated in the Netherlands are tax deductible. 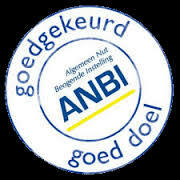 NGW is ANBI registered. credit card or via a direct debt to the checking account of Interserve. They can set up a recurring credit card and direct debt donation as well.